A lot of "Bookies" always insist that movies are never as good as the book. Some are appalled that a movie is ever made from a book. Well not me. 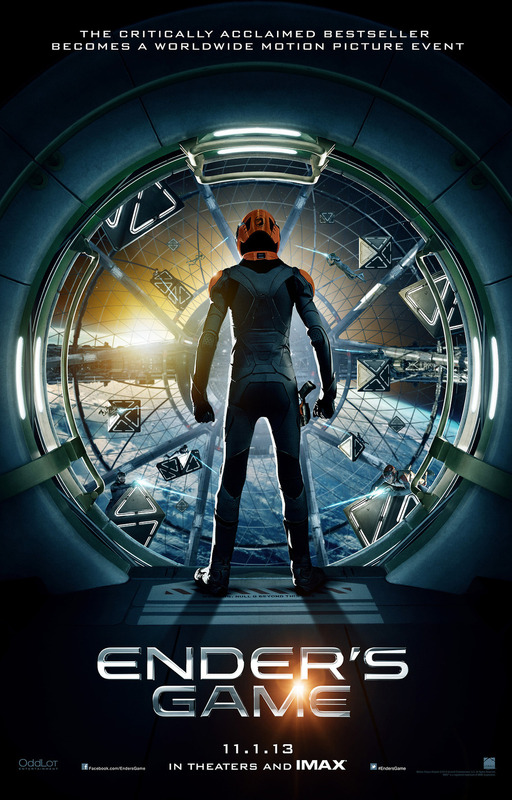 From the day I finished reading Ender's Game years ago, all I could think was, "This is an amazing movie waiting to happen." Well, it has been teased a number of times over the years, but last year they actually started filming, and finished principal filming. It's been in production ever since, and has a release date set for 11-1-2013. I've been following it and not much has been released except for a few pictures here and there, but this week, the official movie poster was released, and it's got me pretty excited.